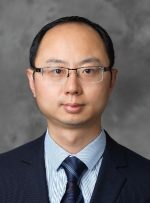 NIPTE Rising Star Scholarship Award – The National Institute for Pharmaceutical Technology & Education, Inc.
Dr. Qi (Tony) Zhou is an Assistant Professor in the College of Pharmacy of Purdue University. Dr. Zhou’s research focuses on particle engineering and characterization for oral dosage forms and inhalation formulations. He has published 60 journal articles and secured >$5M research funding including NIH R01 and Bill & Melinda Gates Foundation and industrial projects. Dr. Zhou’s significant contribution has been recognized by many awards including 2016 IPEC Excipient Emerging Researcher Award and 2017 New Investigator Award in Aerosol Medicine. Dr. Zhou is an Editor of AAPS PharmSciTech and Editorial Board Member of Journal of Pharmaceutical Sciences, Current Pharmaceutical Design and Drug Development and Industrial Pharmacy.